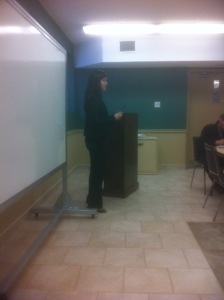 Anna gave a great presentation today on the process for appeals when dealing with WSIB claims. The process affects many people when an injury occurs and understanding the process for appeals is very important to the whole process. Thank you Anna for answering our questions and giving an informative presentation on the process for employers and employees.